Surprises are a little like pineapple on pizza; you’re either a big fan, or you would rather never experience such a thing in your lifetime. It seems as if there is no middle ground. For what it’s worth, I fall into the latter camp (at least, when it comes to surprises; pineapple on pizza, I am fully on board with). The idea of a surprise party, a last-minute surprise mini-break, or even an unsolicited Christmas visitor, is enough to fill me with dread. When a rep from ATO Tours got in touch to suggest trying its Confidential getaway package, I had a lot of questions. How does it work? Do you not find out where you’re going at all? How do you know what to pack? The trip is booked for the last weekend in July – Mother Dearest will be accompanying me, which is an excellent excuse for avoiding outdoor adventures (although she wouldn’t be averse to a group activity or two). Then the wait begins. We find out our destination on a Wednesday, with our flights departing on Friday. Having had visions of rushing to Penneys for last-minute swimwear and inflatable flamingos, it comes as a relief to discover that we’ll be heading to Cologne in Germany. It’s honestly not a city I would have chosen, for no other reason than that it wouldn’t have occurred to me. 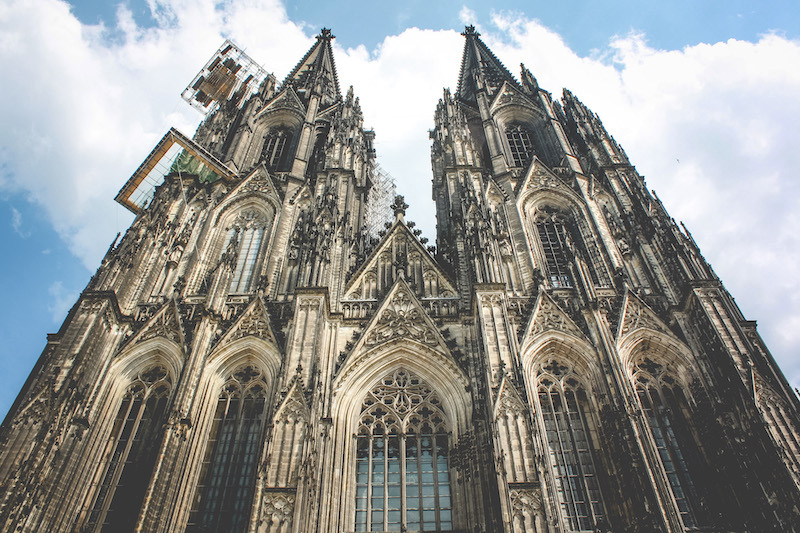 ATO Tours has organised our flights, transport from the airport and accommodation – in the four-star Dorint Hotel, a 10-minute walk from Cologne Cathedral and central train station. Steins tell me the company will organise as much or as little as a client requests: they’ve organised whale-watching in Scotland, a stag do in Hamburg including a beach barbecue and pub crawl (“the best man almost had a nervous breakdown when he realised he hadn’t organised anything with two weeks to go,” Steins explains); and a London activity weekend that included climbing the O2, a speedboat cruise on the Thames and a trip on the slide at the ArcelorMittal Orbit. For this mother-daughter minibreak, it was just the destination we wanted to be surprised with – although the 37-degree-Celcius weather in Cologne was also quite a shock to the system. We arrived in a very sweaty heap on Friday around lunchtime (the flight from Dublin is just an hour and a half, so takeoff was at a civilised 11am) and sat by the steps of Cologne Cathedral, right outside the train station, drinking iced coffees and mopping our brows. The cathedral itself is an incredibly impressive building – the largest Gothic church in Northern Europe. Completed in 1880, it was then badly damaged during the second World War and rebuilt in 1956. There’s construction and maintenance work ongoing, although the cathedral is open to the public and you can even climb the 553 steps to the top of the tower (reader, we did not). Once the iced coffees had been drained, we of course proceeded to have a blazing row about directions, until, 40 minutes later, we completed the eight-minute walk to our hotel. Air conditioning was a welcome relief. Cologne, as short-break destinations go, has pretty much everything, for all tastes. We ate burgers in Hans im Gluck, served by moustachioed young men with tattoo sleeves and perfect English, followed by ice-cream at Eiscafe Tentazioni, eaten streetside en route back to the hotel. We took in the Rautenstrauch-Joest Museum, an ethnological museum focusing on cultures of the world, with an incredible rice barn from Sulawesi, an island in Indonesia, taking up the majority of its lobby space. We spent some time contemplating life – and stained glass – inside Cologne Cathedral, and drank copious cold drinks to cope with the unseasonable heatwave. We ate “Himmel und ad” – a traditional Kolsch dish consisting of black pudding, mashed potato and apple compote – along with two glasses of very good beer in Brauhaus Malzmuhle just by the banks of the Rhine..
As surprise destinations go, Cologne was a pretty good one – a friendly, laidback city with loads to do and see (outdoor activities notwithstanding), friendly, hospitable people and really good food. With just under two days in town, there was plenty we didn’t fit in: a visit to the Belgian Quarter, for example; a tour of the chocolate museum; or a visit to the Fragrance Museum (eau de cologne, anyone?). Perhaps I’ll take a return visit – comforted by the fact that, next time, I’ll know what to expect.